, a poet and miscellaneous writer, is said to have been born of a good family, at St. Ives, in Huntingdonshire, Dec. 25, 1749. He was ed located at Felstead, in Essex, and was originally brought up to the church. This, however, he appears to have quitted for the stage, which he attempted in London, in 1774, with very little success. After his failure in this attempt, he subsisted chiefly by writing. He also was for some time a bookseller at Bath, where, and at other places, he occasionally delivered lectures on the English language. For many years after his appearance on the stage, he assumed the name of Courtney Melmoth, which likewise is prefixed to most of his publications. As. an author, he was very prolific. 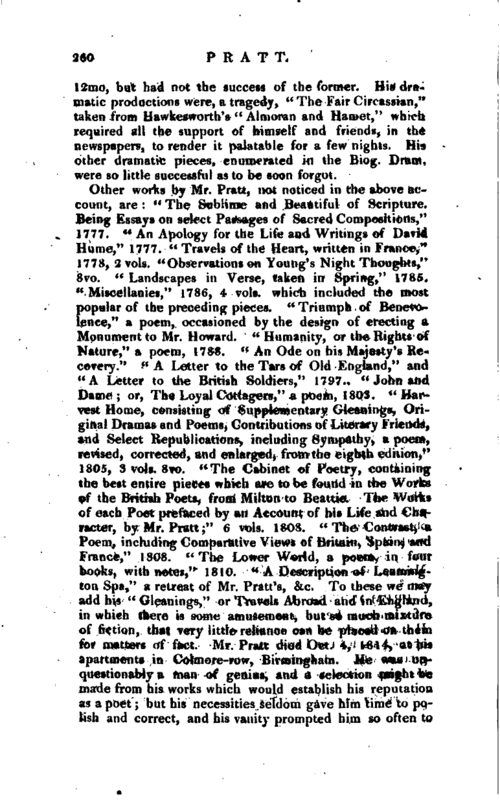 The first of his productions which attracted the notice of the public, was “The Tears of Genius, occasioned by the Death of Dr. Goldsmith, 1774,” whose poetical works he endeavoured, and not always unsuccessfully, to make the model of his own. His poem of “Sympathy” was perhaps his best, and has passed through many editions, and is characterized by feeling, energy, and beauty. His first novel, entitled “Liberal Opinions upon Animals, Man, and Providence,” 1775, &c was published in detached volumes, which were eagerly perused as they successively appeared. His “Shenstone Green,” “Emma Corbett,” “The Pupil of Pleasure, or the New System (Lord Chesterfield’s) illustrated,” had likewise a temporary popularity. 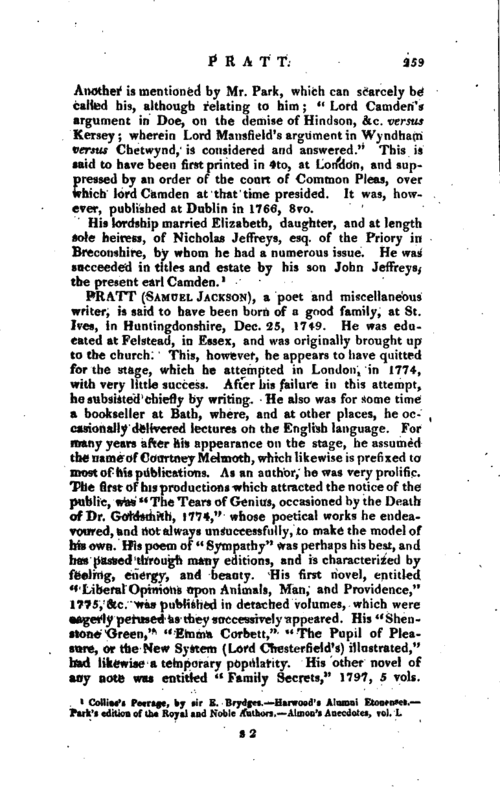 His other novel of any note was entitled “Family Secrets,” 1797, 5 vols. | 12mo, but had not the success of the former. His dramatic productions were, a tragedy, “The Fair Circassian,” taken from Hawkesworth’s “Almoran and Harriet,” which required all the support of himself and friends, in the newspapers, to render it palatable for a few nights. 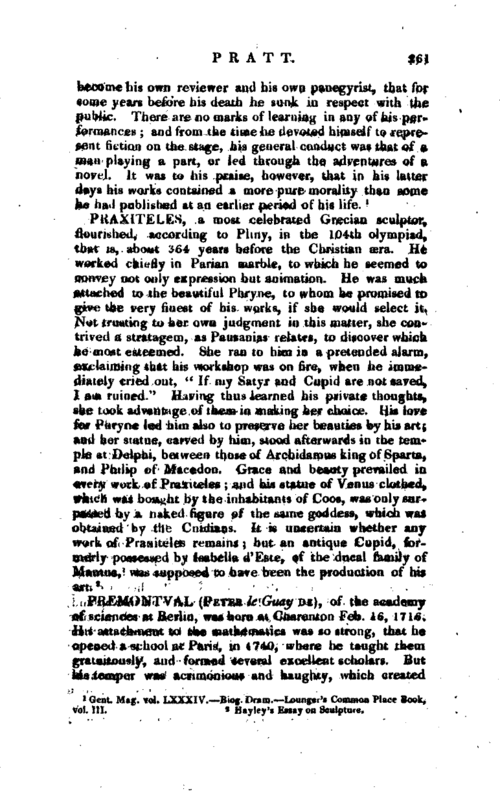 His other dramatic pieces, enumerated in the Biog. Dram, were so little successful as to be soon forgot. Gent. Mag. vol. LXXXIV. Biog. Dram. Lounger’s Common Place Book, vol. III.